We are constantly re-evaluating things here at APQC, always trying to find the best way to serve our members. We recently created APQC’s Process Classification Framework (PCF)® Office Hours and with two sessions under our belt, we took some time to think about ways to engage even more people. These office hours are exposing some great questions and leading to discussions that you all really seem to value. Everyone is learning and growing. 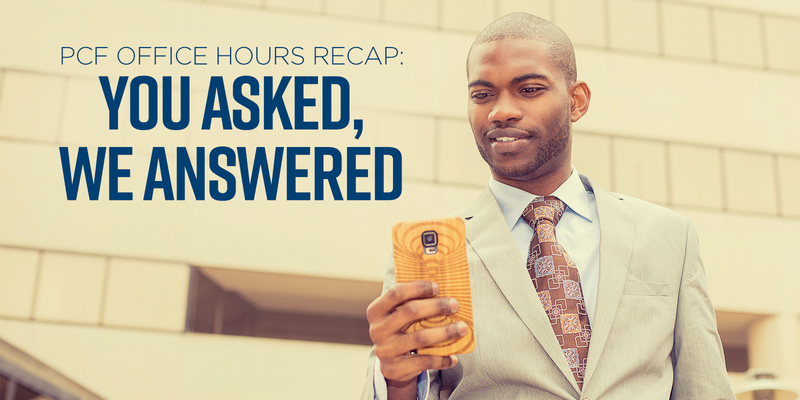 The content discussed in the office hours sessions is valuable to the APQC membership and the world at large, so we wanted to share the questions and learnings with all of you. Hopefully sharing these questions and answers in a blog format can help you learn how to address PCF challenges, but also help you share the learnings from the meetings with your friends and coworkers to help convince them to embark on a process and performance management journey. Without further ado, here goes: the questions and answers from February 2019’s PCF Office Hours! Can organizations use the PCF to support process governance? Yes, the PCF is a critical part of process governance, because it provides you with a common language to discuss all aspects of the management of the process. Imagine you're starting a city. There are so many things you need to think about - layout, building codes, laws, etc; but something has to come first. Sometimes that something is just a street plan, with everything built up around it. The PCF is that overall plan that links everything together. 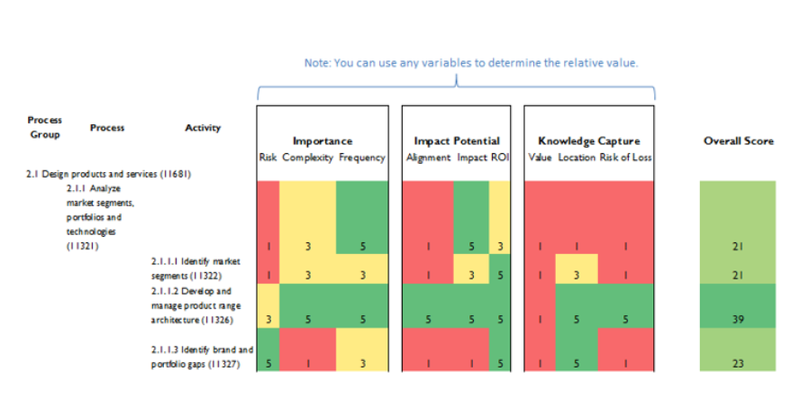 Can organizations use it to evaluate and heat map problem/opportunity areas within their business? We have seen organizations use the PCF as the foundation for a capabilities heat map. The key is to use the framework’s process elements as the taxonomy to collect and organize the information for the assessment. The importance of the process to the organization—relative risk of it not working well, complexity of the process, and frequency for how often it is executed. The impact of process improvement—measures include alignment to organizational goals, potential impact of purpose of the improvement (or how far will it move the needle), and ROI (or is the improvement value worth the cost). The extent of knowledge capture—the information associated with the process—the value of the current information to executing the process, location or accessibility, risk of loss (such as potential risk of tacit information held by SMEs). An overall score for prioritization. Check out the case study with the SWORD group for a good example of how people use it for improvement identification and prioritization. How can I use the PCF to decompress a complex process and still maintain all the intricate links? The PCF can help you to break down the problem into smaller parts. One of the features of the PCF is its breadth: almost all processes within a business are identified. With this breadth at your fingertips, you can identify the specific part you’re trying to understand or document. Then you can begin to answer the difficult questions about relationships between processes, systems, and organizational units. The PCF is great as an interface between processes and owners, but it is only part of the answer. Check out our Seven Tenets of Process Management for an introduction to the key aspects of process management that every organization should consider. I’d like to see an example of a process architecture that uses the PCF for the classification of processes, in combination with end-to-end processes that string the PCF processes together to create value chains. How can an organization deal with the connectivity of processes? Yes – the PCF helps establish connections between processes. It does so by creating discrete units of process work, which we call process elements. This allows organizations to uniquely identify the process elements and use the identifiers to link them together in a consistent manner. For example, you could establish that the input to a process such as “Process Payments” identified by the number 10876 is a listing of approved payments, which is produced by the process element “Approve payments” identified by the process numbered 10872. 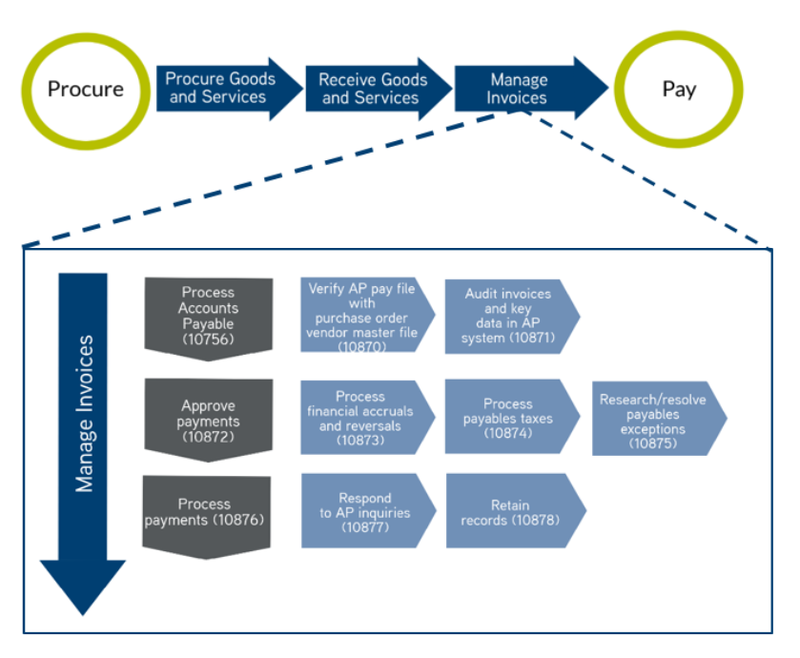 Is APQC integrated with BPM software such as ARIS for instance? Yes and no. We know of several tool vendors that have implemented APQC’s PCF as a reference model or other template within their systems. We don’t officially endorse any of them however. We are also going to store these questions in a running list of Frequently Asked Questions – so look for that to come soon. If you want to participate in the next live PCF Office Hours session, I encourage you to register today!